The etiology of human aggressive behavior has not been elucidated. In clinical practice, the definition of aggressive behavior is as follows: attack to property, others, or oneself with the deliberate intention of destruction. 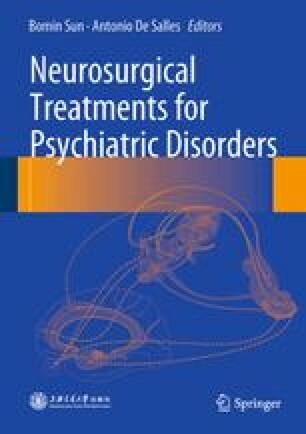 Organic psychosis, schizophrenia, mental retardation, emotional disorders, and personality disorders can be associated with aggressive behavior, and most frequently occur in the acute phase of mental illness (Campbell et al. in Psychiatr Clin North Am 15(1):69–85 1992). In 1990, a regional epidemiological investigation for violent psychosis in the United States showed that the incidence of aggressive behavior in patients with psychiatric disorders was five times that of normal people. Moreover, 50 % of the patients with psychiatric disorders and 10 % of patients with schizophrenia have histories of making threats, agitation, and aggressive behavior (Sramka et al in Bratisl Lek Listty 93(7):365–366, 1992). This aggressive behavior causes serious threat to the safety of medical staff, the whole society, and even to patients themselves.